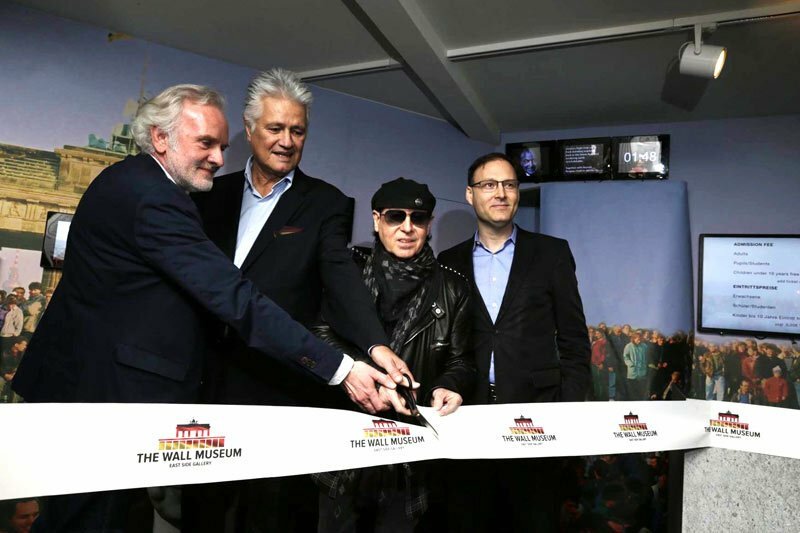 “WIND OF CHANGE”: SCORPIONS BANDLEADER KLAUS MEINE OPENS THE WALL MUSEUM EAST SIDE GALLERY. 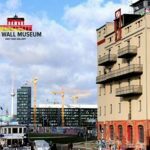 Berlin has added a major new attraction to the city: This April, The Wall Museum East Side Gallery has opened its permanent location in a former warehouse at the East Side Gallery, a stretch of the former Wall, and the famous Oberbaum Bridge in die hip district of Berlin-Friedrichshain. It was opened by Scorpions lead singer Klaus Meine, who wrote the unofficial “hymn of German unity”, his hit song “Wind of Change”. The multimedia museum is unique both in its contents and its presentation, showcasing the history of the Wall, from the construction of the Berlin Wall to the historic events leading to the fall of the Wall. More than 100 screens, films and projectors are re-enacting the events. The museum also commemorates former German Foreign Minister Hans-Dietrich Genscher (1927-2016): He has supported the museum with his interviews, many historic accounts and anecdotes as well as documents. His historic achievements, far and foremost, his shuttle diplomacy to open the Hungarian borders for East German refugees in summer 1989 and rescuing the East German refugees in the West German embassy in Prague in September 1989, are one of the many stunning stories at the heart of the exhibit. His legacy is the most emotional political message ever in German history – a message, that led to the fall of the Wall, a message that increased the number of people in the East German citizens’ movement to one hundred thousand a few days later at the traditional “Monday” demonstration in Leipzig – the legendary message which marked the beginning of the end of the East German regime: “We have come to you today to let you know…” on the balcony of the embassy in Prague (the sentence continued with … “that your departure has been agreed to.”). These and other emotional highlights of Germany’s most recent history can be experienced live in the modern multimedia exhibit right next to the famous East side Gallery. Tickets can be bought online at www.thewallmuseum.com or on site. 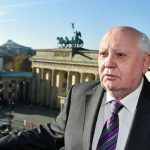 The museum’s opening had been announced by Nobel Peace Laureate Mikhail Gorbachev, while he was visiting Berlin during the fall of the Wall anniversary in November 2014 at Checkpoint Charlie. Among the expert advisers for the exhibit are renowned German historian Prof. Dr. Guido Knopp, documentary filmmakers Jürgen and Daniel Ast as well as the doyen of German historic research, the late Professor Dr. Gerhard Ritter. Using films and other materials, the exhibit guides visitors through a total of 13 staged rooms from the end of WW II to the division of Germany and Ulbricht’s (then East Germany’s leader) famous quip „nobody has the intention to erect a Wall“ straight into the brutal realities of the Wall and its construction, with concrete mixers, barbed wires and the first, original Wall elements. Among others, the exhibit uses film interviews with victims, who had to leave their apartments with just a few hours’ notice, as well as testimonies by border patrol guards, who dislodged people and were shooting at those trying to cross the Wall. The museum tells the stories of how the Wall changed people’s lives; it recounts how people tried to cross it and were shot; it explains the sophisticated “death zone” along the Wall and presents the different perspectives from both East and West by using authentic news reels from the 1960s. Drawing on the larger context of the Cold War, the museum also showcases the confrontation of tanks at Checkpoint Charlie, which could have triggered a third World War – and it honors the hero who prevented a full-blown nuclear world war in 1983. Visitors learn about the political background and decisive moments leading to the fall of the Wall and German re-unification; among these are the free departure of the East German refugees in the West German embassy in Prague on September 30 1989 as well as the ensuing and decisive “Monday demonstration” in Leipzig on October 9 1989. On this day, security forces were readying their Kalashnikov machine guns, blood supplies were ordered and emergency rooms at hospitals were on stand-by, expecting a second Tiannamen Square massacre that the very same leaders had applauded a few months ago. But in this very moment nobody dared to stop the “We are the people” movement by force, that rose to 100.000 peaceful demonstrators. When the commanders called in East Berlin to get their orders, the phone kept ringing without an answer – at the Politburo, the party headquarters, then and today in the exhibition. The museum will also honor the victims, who were killed at the Wall between August 13th 1961 and November 9th 1989; among the stories told on a balcony overlooking the river Spree are the fates of the children who drowned in the river off today’s East Side Gallery, then a part of the Iron Curtain. In addition to historic facts and the thrilling presentation of these events, the museum fits the curtain behind the historic events, focusing on human interaction; for example, the active shuttle diplomacy by the legendary German Foreign Minister Hans-Dietrich Genscher (who died this past week) in the summer of 1989 after he should have quit his job after his second heart attack, but convinces together with Chancellor Helmut Kohl in a secret meeting in a castle Hungarian Prime Minister Miklos Nemeth and Foreign Minister Gyula Horn to open the “Iron Curtain” in Hungary on September 11. The importance of the “human factor” in world politics is highlighted as well by showing a defibrillator, which Genscher and his physicians always brought along, in case his heart would stop beating again. The presentation shows how the German Foreign Minister succeeded with amazing diplomacy in liberating the Prague embassy refugees, after he had “hijacked” a New York cab at the UN because his own driver was not on site and this was the last chance to persuade his Soviet counterpart Shevardnadze to let the German refugees go – after he had turn down Genscher twice before. Which argument made the difference, is something the visitors can learn. The initiators of the museum have talked to many important witnesses – beside the many citizens, artists and civil rights activists to the main decision-makers such as Hans-Dietrich Genscher, James Baker, Hungary’s than Prime Minister Miklos Nemeth and Mikhail Gorbachev. They also met Helmut Kohl, who is honored as the “Chancellor of German Unity” and Willy Brandt, the “Chancellor of the Hearts”, whose détente policy and reconciliation with Germany’s neighboring countries were instrumental. George bush sr. sent a friendly letter on the occasion of the 25th anniversary of the fall of the Wall, expressing the U.S. – Russian friendship with Gorbachev. The museum also features artist involvement with the wall, from Keith Haring and Roger Waters’ “The Wall” to “The Wind of Change” by the Scorpions and Leonardo DiCaprio as a teenager trying to push down the Wall in 1988 in a humorous photo snapshot by his German grandmother. The exhibit is using historic sources as well as interviews, installations, multimedia projections and films. The text and narratives will be in both German and English, visually as well as audio. An exclusive technology partner, ViewSconic, is supporting the comprehensive exhibit at the East Side Gallery with projectors, interactive displays, WiFi video broadcasts as well as large- and small-scale displays. The fall of the Wall was the biggest peaceful revolution in human history. In the coming years, the museum will further engage in the history of the fall of the Wall, using a small portion of the funds from the admission fees for historic research. THE WALL MUSEUM EAST SIDE GALLERY WILL BE OPENING MARCH 26TH 2016. Berlin will add a major attraction to the city in few weeks time: On March 26th 2016, The Wall Museum East Side Gallery will be opening its permanent location in a former warehouse at the East Side Gallery, a stretch of the former Wall, and the famous Oberbaum Bridge. The multimedia museum will be unique both in its contents and its presentation, showcasing the history of the Wall, from the construction of the Berlin Wall to the historic events leading to the fall of the Wall. The museum will also offer a special focus on the decisive events in the dramatic weeks in summer and fall 1989, enabling visitors from both Germany and abroad to experience the history of the fall of the Berlin Wall first-hand – and how this deadly monument was overcome that separated the world for almost four decades into East and West. The museum’s opening had been announced by Nobel Peace Laureate Mikhail Gorbachev while he was visiting Berlin during the fall of the Wall anniversary in November 2014 at Checkpoint Charlie. Among the expert advisers for the exhibit are renowned German historian Dr. Guido Knopp, documentary filmmakers Jürgen and Daniel Ast as well as the doyen of German historic research, the late Professor Dr. Gerhard Ritter. Using films and other materials, the exhibit guides visitors through staged rooms from the end of WW II to the division of Germany and Ulbricht’s (then East Germany’s leader) famous quip „nobody has the intention to build a Wall“ straight into the brutal realities of the Wall and its construction, with concrete mixers, barbed wires and the first, original Wall elements. The exhibit uses film interviews with victims, who had to leave their apartments with just a few hours’ notice, as well as testimonies by border patrol guards, who dislodged people and were shooting at those trying to cross the Wall. The museum tells the stories of how the Wall changed people’s lives; it recounts how people tried to cross it and were shot; it explains the sophisticated “death zone” along the Wall and presents the different perspectives from both East and West by using authentic news reels from the 1960s. Drawing on the larger context of the Cold War, the museum also showcases the confrontation of tanks at Checkpoint Charlie, which could have triggered a third World War – and it honors the hero who prevented a full-blown nuclear world war in 1983. Visitors learn about the political background and decisive moments leading to the fall of the Wall and German re-unification; among these are the free departure of the East German refugees in the West German embassy in Prague on September 30 1989 as well as the ensuing and decisive “Monday demonstration” in Leipzig on October 9 1989. On this day, security forces were readying their Kalashnikov machine guns, blood supplies were ordered and emergency rooms at hospitals were on stand-by, expecting a second Tiannamen Square massacre that the very same leaders had applauded a few months ago. But in this very moment nobody dared to stop the “We are the people” movement by force, that swelled to 100.000 peaceful demonstrators. When the commanders called in East Berlin to get their orders, the phone kept ringing without an answer – at the Politburo, the party headquarters, then and today in the exhibition. In addition to historic facts and the thrilling presentation of these events, the museum fits the curtain behind the historic events, focusing on human interaction; for example, the active shuttle diplomacy by German Foreign Minister Hans-Dietrich Genscher in the summer of 1989 after he should have quit his job after his second heart attack, but convinces together with Chancellor Helmut Kohl in a secret meeting in a castle Hungarian Prime Minister Miklos Nemeth and Foreign Minister Gyula Horn to open the “Iron Curtain” in Hungary on September 11. The importance of the “human factor” in world politics is highlighted as well by showing a defibrillator, which Genscher and his physicians always brought along, in case his heart would stop beating again. The presentation shows how the German Foreign Minister succeeded with amazing diplomacy in liberating the Prague embassy refugees, after he had “hijacked” a New York cab at the UN because his own driver was not on site and this was the last chance to persuade his Soviet counterpart Shevardnadze to let the German refugees go – after he had turn down Genscher twice before. Which argument made the difference, is something the visitors can learn. The initiators of the museum have talked to many important witnesses – beside the many citizens, artists and civil rights activists to the main decision-makers such as Hans-Dietrich Genscher, James Baker, Hungarys than prime-minister Miklos Nemeth and Mikhail Gorbachev. They also met Helmut Kohl, who is honored as the “Chancellor of German Unity” and Willy Brandt, the “Chancellor of the Hearts”, whose détente policy and reconciliation with Germany’s neighboring countries were instrumental. George bush sr. sent a friendly letter on the occasion of the 25. anniversary of the fall of the Wall, expressing the U.S. – Russian friendship with Gorbachev. The exhibit is using historic sources as well as interviews, installations, multimedia projections and films. The text and narratives will be in both German and English, visually as well as audio. An exclusive technology partner, ViewSconic, is supporting the comprehensive exhibit at the East Side Gallery with more than 50 projectors, interactive displays, WiFi video broadcasts as well as large- and small-scale displays.